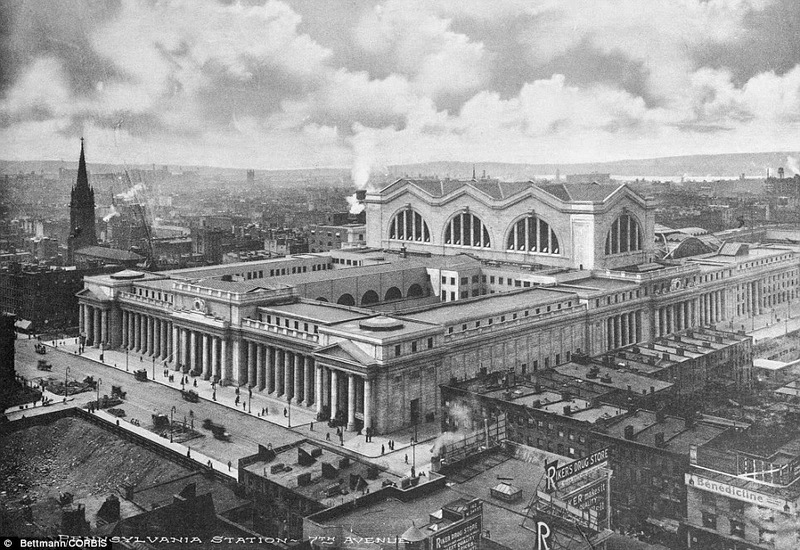 Pennsylvania Station in Manhattan was the masterpiece of the architectural firm McKim, Mead and White. 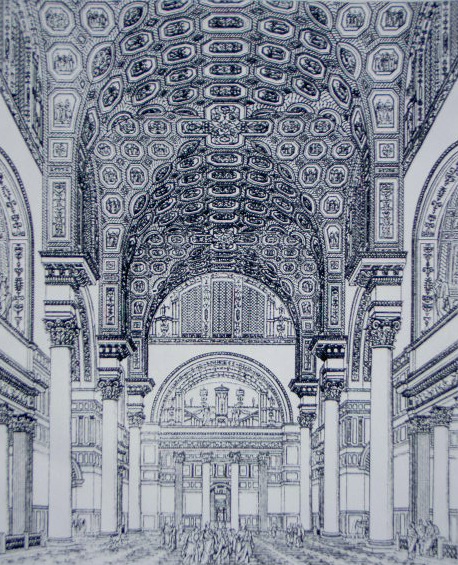 The structure was a grandiose monument to transportation that visually mirrored the Baths of Caracalla in ancient Rome. It existed from 1910 to 1963. The ancient Terme di Caracalla were enjoyed by Romans from every social class. Penn Station today is underground. Madison Square Garden replaced the above ground facilities. 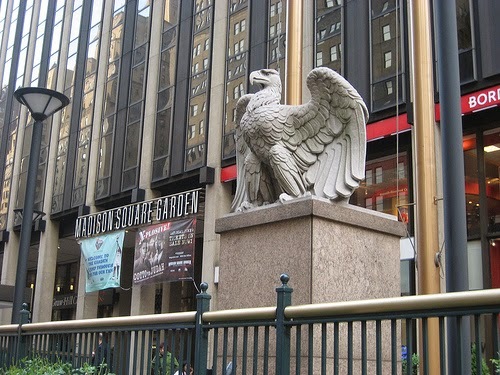 The Eastern side of MSG is adorned with the sculpture of an eagle that was taken from the defunct structure. Native American cultures hold this creature in high esteem. 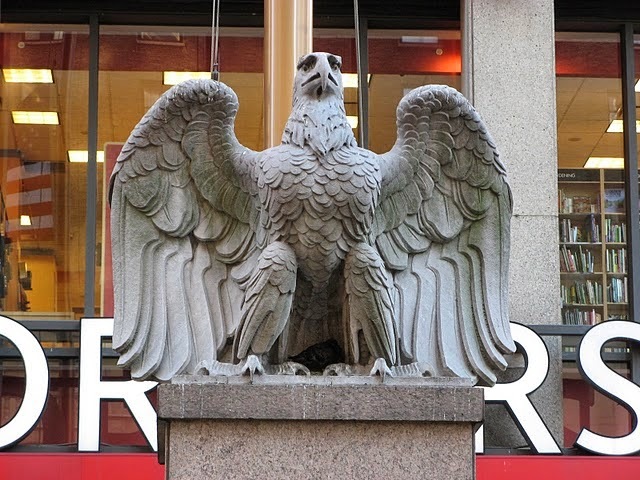 To some, because this creature flies so high in the sky, it is believed its feathers brush with the essence of the creator force. These feathers, taken from the birds while they are alive and then released, are used in ceremonial headdresses and dreamcatchers. In ceremony they help manifest the intentions of the Creator force and in sleep they filter dreams of the negative emotions that found visual organization in the psyche. 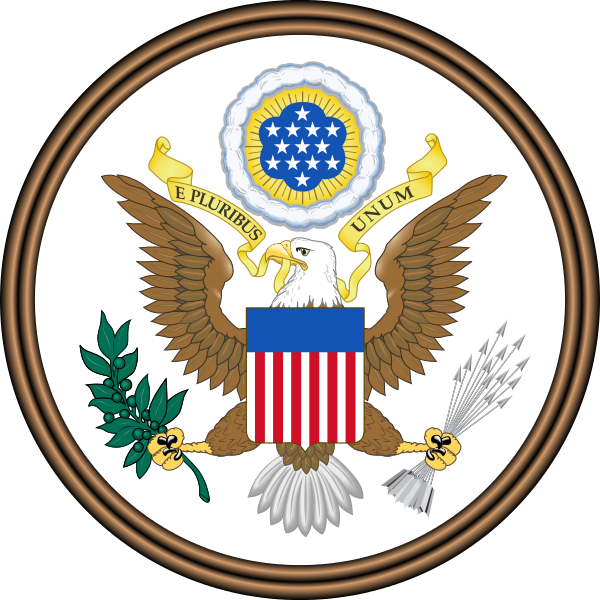 The United States echoes the most sophisticated cultural programs of cultures the world over. The visual presentations of these ennobling ideals are the very real elements that bind us in the understanding of what it means to be American.